The 2019 Honda LPGA Thailand will see a star-studded field as it kicks off from 21 - 24 February 2019 at the Siam Country Club Pattaya, Old Course. Eight local stars, led by sisters Ariya and Moriya Jutanugarn, will be vying to become the first player from the Kingdom to win the event. 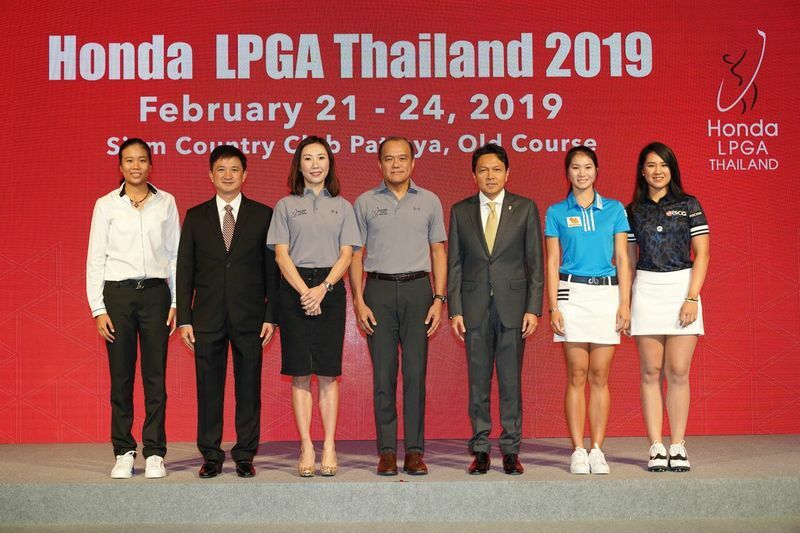 Honda Automobile (Thailand) Co., Ltd. and IMG announce their readiness to host the Honda LPGA Thailand 2019, a major tournament set to take place from 21 - 24 February 2019 at the Siam Country Club Pattaya, Old Course. Up for grabs, this year is a prize purse of $1.6 million (about 53 million THB) and the New Honda Civic 1.5 L. DOHC VTEC TURBO, TURBO RS Variant worth 1,219,000 THB for a hole-in-one winner on the 16th hole. The Honda LPGA Thailand 2019 features 70 female golfers such as Minjee Lee from Australia, Sung Hyun Park from South Korea, Brooke M. Henderson from Canada, Nasa Hataoka from Japan, and defending champion Jessica Korda from the United States along with local stars such as the world No. 1 Ariya “May” Jutanugarn, Moriya “Mo” Jutanugarn, Pornanong “Wan” Phatlum and Thidapa “Junior” Suwannapura. Besides the competition, the event will also feature additional activities and a full range of facilities to welcome all visitors and to promote Thailand as a world-class golf destination. 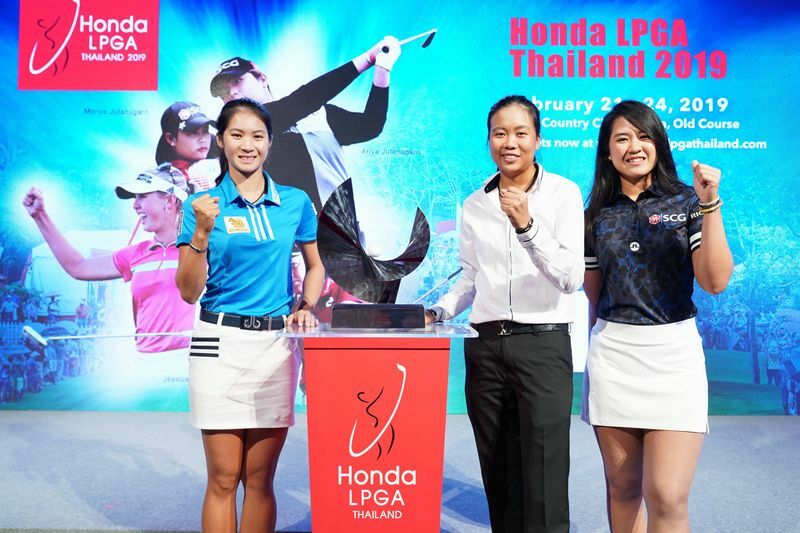 “Honda has been the title sponsor of the Honda LPGA Thailand for 13 years,” said Mr. Pitak Pruittisarikorn, Chief Operating Officer of Honda Automobile (Thailand) Co., Ltd. “This year is so special as more top female golfers will be competing, such as four-time LPGA champion Minjee Lee, former world No.1 Sung Hyun Park, Brooke M. Henderson, and the reigning champion of the event Jessica Korda. The Honda LPGA Thailand 2019 will feature 70 female golfers, including 57 professionals from the 2019 LPGA Priority List, the winner of the 2019 ISPS Handa Vic Open and the 2019 ISPS Handa Women’s Australian Open, which will wrap up on 17 February 2019. On top of that, another listed golfer is Eun-Hee Ji, the winner of 2019 Diamond Resorts Tournament of Champions, as well as nine invited players, including Atthaya “Jean” Thitikul, Pajaree “Meow” Anannarukarn, Pannarat “Saipan” Thanapolboonyaras, and Benyapa “Gift” Niphatsophon, the winner of the Honda LPGA Thailand National Qualifiers. The Honda LPGA Thailand 2019 will be held under the theme of ‘Dream Big’ to inspire golfers from all backgrounds and skill levels to pursue their dreams in the world arena. Besides the tournament, there will be a Junior Golf Clinic on 18 February with the objective to facilitate skill development for young Thai golfers and to develop golf in Thailand. Junior golfers will have the opportunity to learn from Thai golfer Pajaree “Meow” Anannarukarn and Hina Arakaki from Japan who will be sharing their professional experience with the participants. Additionally, a Golf Leaders Conference will be held on 21 February to encourage people in the golf industry to exchange knowledge on sustainable golf development in Thailand. One of the special guest speakers of the conference will be former world No.2 and 2010 U.S Women's Open champion Paula Creamer. There will also be a Charity Night where the collected donations will be contributed to the Siriraj Foundation and CSR activities among local schools. During the tournament week, players will also have the opportunity to put on Thai silk for a photo call. Besides the on-course action, there will be activities for the spectators where they can compete with professional golfers in ‘Beat The Pro’, as well as a Kids Zone and Chill Zone for children and families. These activities aim to enhance the fan experience and to promote Thailand as a world-class golf destination. 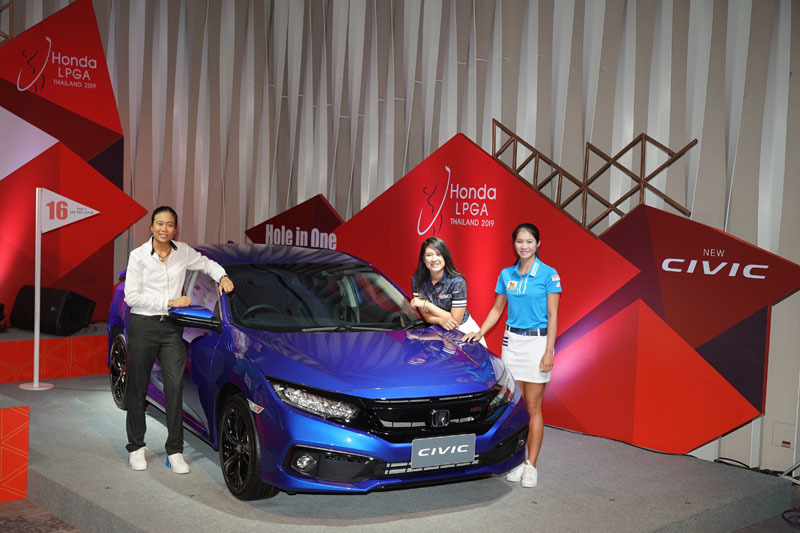 The Honda LPGA Thailand 2019 is organized by IMG with Honda Automobile (Thailand) Co., Ltd as the title sponsor, and supported by many partners including the Sports Tourism Authority of Thailand, National Sports Development Fund (NSDF), Tourism Authority of Thailand, Betagro Group, Siam Daikin Sales Co., Ltd, EVA Airways Corporation, Siam GS Sales Co., Ltd, etc. Officially broadcasting the Honda LPGA Thailand 2019 will be MCOT Channel 30.